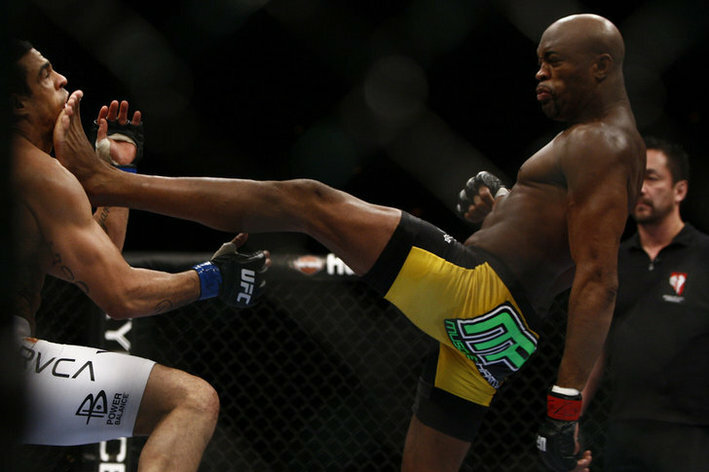 As much as Jon Jones admires and looks up to former UFC Middleweight Champion Anderson Silva, he would never even think about fighting with his hands down like “The Spider’ did against Chris Weidman at UFC 162, and also says seeing Silva lose the way he did was a reality check. 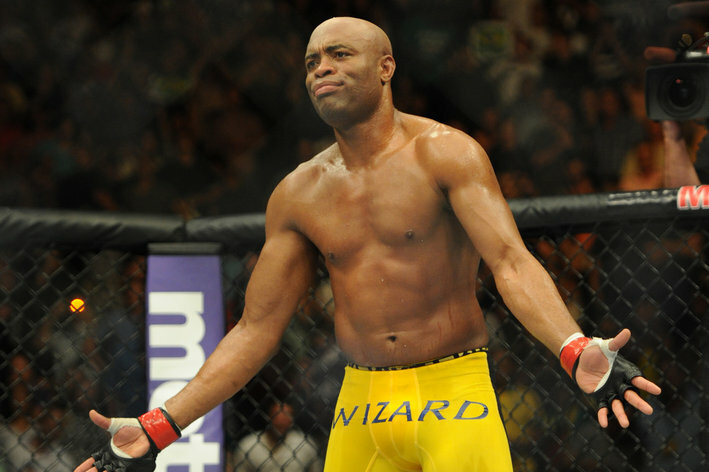 When Anderson Silva coughed up his 185-pound throne to Chris Weidman last weekend (July 6, 2013) at UFC 162, fans and fighters alike were left in shock and disbelief. 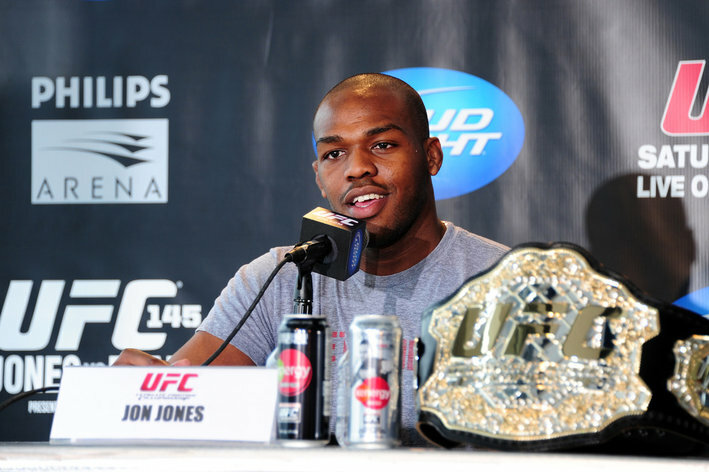 Among them was Ultimate Fighting Championship (UFC) Light Heavyweight Champion Jon Jones, who took to his Twitter account immediately afterward to express his feelings on what he had just witnessed (see it here). “Bones” was rightfully upset, seeing as how many believed he was one win away from a much-desired “super fight” against the former middleweight king. The loss not only crushed that fight, but also cost the 205-pound champion a potentially huge payday. Aside from being upset at the fact that he lost out on his chance to be the first man to hand Silva his first loss inside the Octagon, Jones says seeing Anderson lose was a reality check. Speaking of gameplans, as Jones prepares to defend his title against Alexander Gustafsson in the main event of UFC 165 on Sept., 21, 2013 in Toronto, Ontario, Canada, the Jackson-Winkeljohn fighter is determined to prove to fans that the distinct size advantage he holds over most of the 205-pound division isn’t the sole reason for his success. That size advantage, however, will be nonexistent against the six-foot, five-inch Swede (see the evidence here). And while taunting and disrespecting his opponents has never been a part of Jon’s repertoire, after seeing one of the greatest of all time pay the price for “taking it too far” with his antics, it will likely remain that way. It’s a good thing too, because pulling those shenanigans against a fighter as dangerous as “The Mauler” could prove disastrous for anyone. Vitor Belfort says fighters have to earn, not talk about, world mixed martial arts (MMA) title shots inside the Octagon. In case you didn’t know, Vitor Belfort and Chael Sonnen have something in common. Their previous two losses have come to arguably the top two pound-for-pound mixed martial arts (MMA) fighters in the world in Ultimate Fighting Championship (UFC) Light Heavyweight champion Jon Jones and Middleweight champion Anderson Silva. But, that’s where their similarities stop. When it comes to earning and receiving world title shots, Sonnen has parlayed his quick wit and gift of gab into dreams of gold, getting the chance to face “Bones” at UFC 159 fresh of his loss to “The Spider” eight months prior at UFC 148. 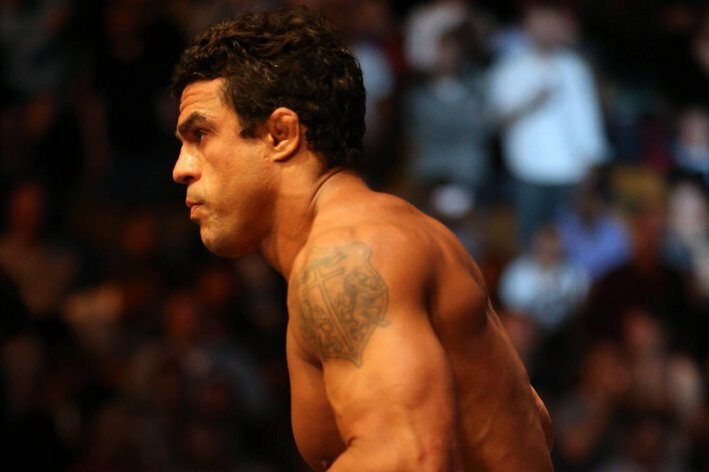 Belfort, meanwhile, chooses to play the silent warrior role, letting his actions inside the Octagon speak for him. And if his last two knockout performances against Michael Bisping and Luke Rockhold are any indication, the actions of “The Phenom” aren’t politely requesting another title shot, but flat out demanding one. After besting Rockhold and Bisping in 185-pound action, Belfort remained silent, refusing to call out Silva for a rematch, leaving many in the MMA community puzzled. But. don’t think for a second Belfort isn’t one to seize an opportunity when he sees one. Prior to UFC 152, when 205-pound contenders were too busy acting like “divas,” Belfort stepped up, made his voice heard and offered up his services to go up a to a weight class to take on Jones in Toronto, Ontario, Canada. While he came up short to “Bones” in the world title fight, Belfort is still the leading candidate to receive the next title shot against the winner of Chris Weidman vs. Anderson Silva at UFC 162 because he has won four straight at Middleweight. And contrary to popular opinion, the fact that Belfort is going through a career resurrection of sorts has nothing to do with the fact that he’s on testosterone replacement therapy (TRT). Josh Burkman shocked the mixed martial arts (MMA) world last Friday night (June 14, 2013) when he defeated Jon Fitch in the main event of World Series of Fighting (WSOF) 3, which took place at the Hard Rock Hotel & Casino in Las Vegas, Nevada. “The People’s Warrior” needed less than a minute to secure the submission win by way of guillotine choke (watch replay here). 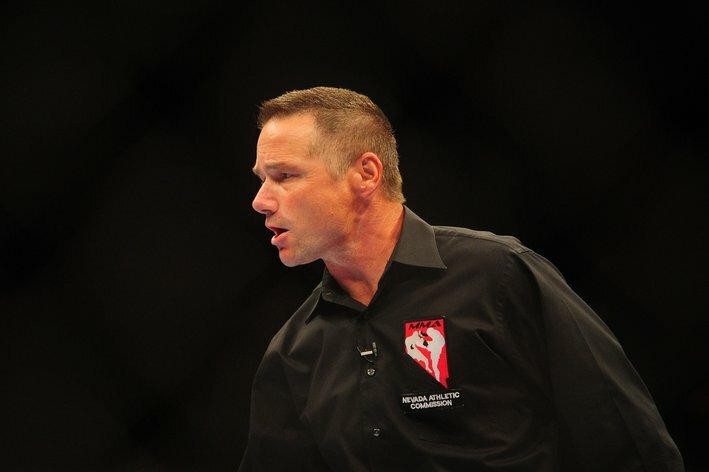 Following the event, UFC President Dana White slammed the performance of referee Steve Mazzagatti (read it here). The longtime man in black did not stop the fight, nor did he need to, as Burkman simply stood up and left his lifeless foe asleep on the canvas. Fortunately for Fitch, his conqueror knew when to say when. But it the wake of Fitchgate, Nevada State Athletic Commission Executive Director (NSAC) Keith Kizer was quick to downplay White’s critique, insisting the “weird” ending of the fight was not based on a judgment call by the official, but rather a series of circumstances that allowed the contest to conclude on its own. This wasn’t the first time White blasted The Mazz. He wanted to “blow his brains out” earlier this year when it was learned that Steve-O was in charge of the UFC 156 main event between Jose Aldo vs. Frankie Edgar, a happenstance White said he could “spend 45 minutes” complaining about (his rant here). As Mazzagatti said, he doesn’t work for ZUFFA and it’s not his job to make sure the fights end the way a promoter wants them to (comments here). Unfortunately, since White has been so vocal about the shortcomings of his nemesis, it has led to his fighters hopping on the bandwagon when they come up short in a big spot (example). Two sides to every story fight fans … which one are you taking? Jon Jones vs. Alexander Gustafsson is (finally) official for the UFC 165 pay-per-view (PPV) event on Sept. 21 in Toronto. Ultimate Fighting Championship (UFC) Light Heavyweight Champion Jon Jones has been booked to defend his 205-pound title against Alexander Gustafsson at the UFC 165 pay-per-view (PPV) event on Sept. 21, 2013 in Toronto, Ontario, Canada. Somewhere in Brazil, Lyoto Machida weeps. The good news is, Jones will face off against a fresh challenger, rather than going into re-runs. “Bones” has come fairly close to cleaning out his entire division, with Dan Henderson and Antonio Rogerio Nogueira both suffering recent setbacks. In 19 professional fights, his lone defeat was a disqualification for 12-6 elbows during his first-round massacre over Matt Hamill on Versus. Since then, he’s blown through nine straight opponents, finishing eight of them, including Chael Sonnen at UFC 159 back in April. The same event where he blew up his toe. That little piggy seems to be on the up-and-up, which means Gustafsson will have to be at his very best in Toronto. To date, he’s 7-1 inside the Octagon and 15-1 overall, with recent wins over Mauricio Rua, Thiago Silva and Vladimir Matyushenko. Whether or not that’s the kind of experience that can win him the title, remains to be seen. The two have been bickering back and forth on Twitter and recently came nose-to-nose on a promotional tour of Russia. 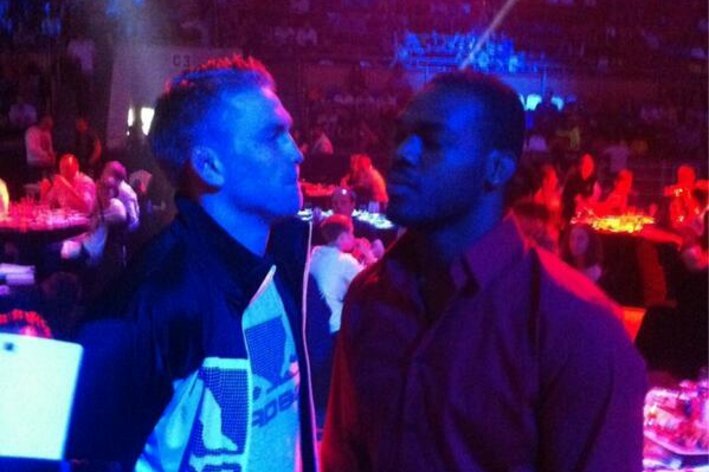 “The Mauler” demanded that Jones cough up a date and it looks like the champ has finally obliged. It will also be interesting to see what the odds look like when they open later this week. After UFC president Dana White announced on Thursday that Jon Jones would defend his light heavyweight title against Alexander Gustafsson at UFC 165 on Sept. 21 in Toronto, MMAFighting.com spoke to Jones about the fight, his injured toe, meeting Fedor Emelianenko and more. Ariel Helwani: First off, how is your toe feeling? Jon Jones: My toe is doing really well. Right now, I’m going to ease into some boxing and some wrestling with Cornell University, maybe try to get in at Ithaca College too, and start doing sports where I use a boot or a shoe, like a wrestling shoe or a boxing boot, to do some weightlifting, get my body fat down and get ready to improve my game. What exactly happened to the toe when you injured it? I chopped some of the bone on the right side of the left toe and tore ligaments on the left side of the toe. Now, I have to tape my big toe to the toe next to it, and as long as I can do that for about four more weeks, I’ll be fine. I just can’t put the toe in any quirky positions, like I would if I was doing jiu-jitsu, so that it doesn’t go the opposite way again. I heard you wanted to fight in October. Why are you fighting in September? I was hoping for October, but Dana asked me to do September, so I thought I would be a team player and try to help the UFC out with their scheduling. Having me so close to Toronto, I thought it would make sense for the company, so I took the fight. At the same time, I don’t feel rushed at all, so it worked out for the both of us. Originally, were you trying to return in August? No, I was not trying to fight in August. They wanted me to fight in August for the first FOX Sports 1 card, but I just thought that would be a bad idea. It was a great opportunity. I definitely want to fight on free television for the fans. I realize there’s a lot of people out there that aren’t in a position to buy pay-per-view. So, I would be honored to fight for the fans on free television, and I was going to jump at the opportunity, but I took a few steps back and really evaluated whether that would be a smart idea or not and realized that I should do that another time. Jon Jones is pushing back an expected return to action from the summer to fall, reportedly interested in defending his light heavyweight title against Alexander Gustafsson. 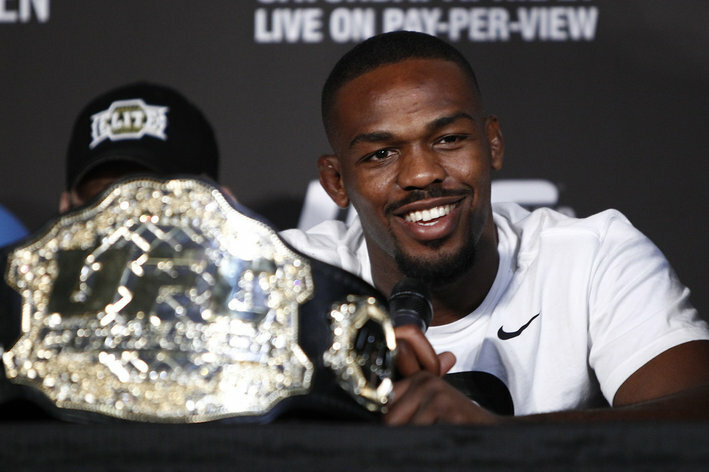 Ultimate Fighting Championship (UFC) light heavyweight titleholder Jon Jones has apparently decided to not rush back to the Octagon, eyeing a return to mixed martial arts (MMA) competition this fall against Swedish sensation Alexander Gustafsson. Jones and Gustafsson have crossed paths several times in recent weeks, sending messages to each other on Twitter and coming face-to-face in Russia for a staredown. Jones teased a few weeks back that he had a major decision on the horizon, and it appears that decision was whether or not to take a fight or allow his toe more time to recover. This latest report, if accurate, would suggest he went with the latter, targeting return date went from summer to closer to the end of the year. Accordingly, a potential date or location for the 205-pound title match up — if it even comes to fruition — has not been announced at this time. NEW YORK — All the work had been done. He’d gone through his two-month camp, made the cross-country flight to Las Vegas and sat in his locker room, preparing to go out before the world. It was supposed to be showtime. He warmed up and walked out to the cage and looked across at his opponent. He heard the referee intone him to fight. That was Evans talking about his last fight, a February matchup with Antonio Rogerio Nogueira. But, he also admitted, in his bout before that against Jon Jones, he had not quite been himself, either. “Disconnected” was the precise word that he used to describe the foreign phenomenon he experienced, the one separating him from the sensory world surrounding him. You’ve heard of an athlete being in “the zone”? This is the exact opposite, a purgatory from which there is no escape, in which there are no impactful actions or movements. 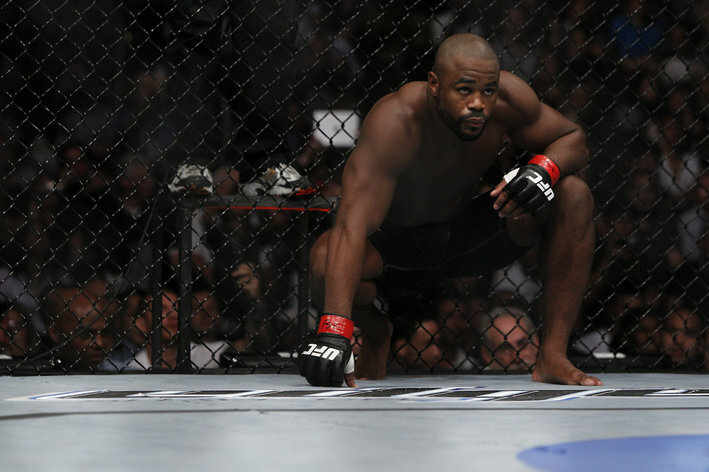 This is what he’s trying to come back from now, with an all-time great, Dan Henderson waiting on the other side. On Saturday night, in the main event, Evans isn’t just fighting Hendo and the mother of all right hands. He’s also fighting himself, to regain his foothold as an elite, to rediscover the confidence and the fire that carried him to a UFC light heavyweight championship in 2008. That’s obvious to everybody who watches him. Even his mother. But is it quite that simple? We like to think that there is an imaginary force field that keeps personal problems away from the professional arena of competition, some magical earphones that tune out the noise and static. That’s a myth. For Evans, for a time, it was downright impossible to feel like a success in his professional life when his personal life was crumbling around him. In early 2012, Evans and his wife divorced. The child of a broken home himself, Evans didn’t take the split lightly. Some people will chalk this up as an excuse. Evans is smart enough to know that, but he is nothing if not candid; he can’t stop himself from offering up his reality whether it’s joyful or melancholy. And at the time, everything was new and raw. He had switched gyms, he had moved to a different part of the country, and he was apart from his family for the first time. It was all foreign. He tried to fake his way through it, tried to shut his mouth and plow forward. But the tightly wound ball unravels the quickest, and before long, Evans was struggling in a way that he never had. When you’re a young kid starting out in the fight business, the fire burns brightly, especially when you come from a place of struggle as Evans had. As a child, he’d had his heat turned off at times, electricity at others, as his mom tried to keep up with bills. He grew up wanting what the other, better-off kids had. Even before he came into the UFC, he was working security at a hospital. He often had to wheel dead bodies to the morgue, and as he did so, he’d wonder what kind of life those people had. Had they chased their dreams? Had they accomplished anything? As a young man with little to his name, that was plenty of fuel for motivation. He could still remember the feeling of the cold air in his home, could close his eyes and pace the hospital walkways. But now, years later, time has dulled those memories, and the money he’s made had given him all those things he’d wanted as a youth and then some. He had those things, so what was his motivation now? Evans feels in some ways he won’t have a choice but to fight. He knows it’s good to feel scared, and Henderson certainly brings something to have fear in. Evans acknowledges that Henderson is one of the best fighters the U.S. has ever produced. He admires him and admits he’s dangerous. Someone’s going to get knocked out, he says. It’s just not going to be him, not when he still has things he wants to do. At 33 years old, Evans can’t see the end nearing. Not yet, despite the fact that he once brought up the possibility of retirement. To his core, he says, he still identifies himself as a fighter. Even though he has a FUEL TV gig to fall back on, even though he made the money he wanted as a child, the structure of a fight camp is still the purpose he desires. The label of being a fighter is still necessary to him. Perhaps in his changing world, now more than ever. As a kid, he was a Mike Tyson fan, and like millions, hung on every moment of Tyson’s fights, knowing something jaw-dropping was going to happen. Something that drew his eyes like magnets. Those are the same types of moments he wants to produce now. As an adult, he got to meet Tyson. They didn’t talk about fighting, but about life. Tyson is a man who’s lived through things and gained a lot of wisdom along the way, wisdom that Evans still thinks about. Evans wants to be champion again. He’s not afraid to say it. But more than that, he wants to create memorable moments. He wants to throw himself into the best matchups with the most dangerous people. He wants to feel the heat of the fire again.